On this episode we talk with Garret Miller of Mapbox, which creates tools for anyone to design and publish custom maps. Garrett covers Mapbox’s flat structure, their product development process, and how they use GitHub for office management. He also discusses how he straddled the worlds of programming and design, managed client expectations as a freelancer, and much more. Alexis: Garrett, thanks for coming on the show! Alexis: Now before we get into Mapbox, tell us a bit about yourself. Garrett: Sure. I’m a designer and developer traditionally and I’ve been working in a lot of different careers over the last 10, 15 years, but I mostly started with doing design and development and moving along, discovered the startup scene about eight or nine years ago and I’ve been operating in that space since. Alexis: Okay, now you are a very – let’s see, how do I phrase this? I’m envious of you, and I’m sure many others who are more on the programmer side of things also are because you straddle both the design and programming side of things. Now I have to ask, which came first? Garrett: I think probably the design and art came first, and that’s kind of a thing – I didn’t realize it was a thing until high school that there was such a thing as designers and developers that they talked about. I think it’s less rare now, but they talked a lot about the unicorn, and I hate that phrase because it’s so pretentious. Alexis: Which is why I avoided using it. I mean, it came to mind. Garrett: Yeah, don’t worry, I’ll throw it out there for you [chuckling]. For a long time, I didn’t really realize that it was a particular thing only because I always found myself working in things that were actually just interesting at the time. I was traditionally an artist and I actually spent a long time pretty sure that I was going into a career for art, not necessarily design or web design or anything of that nature, but what ends up happening is, it turns out that you can make money doing web design, and that’s kind of where I started going. In doing that, I found out that web design is a form of design. This was a long time ago when I got my first [chuckles] – I don’t know if this is a good thing or bad thing to report – I got my first pirated copy of Photoshop, Photoshop 3.0, when I was 13 years old and I realized that. Alexis: A rite of passage. Garrett: Yeah! That, “Oh, you can do art on the computer!” and that was the start of this somewhat organic process of just following into the web, and in doing so, you just, I think, inevitably start falling more into doing development from there. Everyone who – a lot of people go this route, I should say – they start with HTML, and HTML is not a language, although people may think it is. You kind of just get deeper down the rabbit hole there. Alexis: [Chuckles] Yes. I’d probably like to get into Mapbox sooner than later, but I’d really like to focus on the five years that you spent on freelancing or more, because you hopped around to different places in doing web design and whatnot. How did you grapple with it? Garrett: Yeah, absolutely. The background on freelancing was it started just – to pick up the story where it was – I had started in high school working for a web agency, working for a lot of nonprofits. I was growing up outside of D.C. there; I worked at a lot of – we worked with a lot of clients in the D.C. area – ACLU, Christopher Reeve Foundation, a lot of these early nonprofits that were starting to have web presences. This was in the days of when you’d put your company’s name at the bottom of the site – Site Powered by. But that was in high school and I didn’t really realize at the time how lucrative it must have been, employing high schoolers who were doing these things. I was working with way more talented people around me; they were also around my same age and working code and doing that. What ended up happening is I went to college and I realized that college is expensive and I had decked out this strange career in doing web design. I think they were paying me, at the time when I went to college, I think they were paying me $12/hour to do this stuff, which was just unheard of when you’re in high school. You’re not paying for room and board, and you’re getting money. So the freelancing kind of just started organically there, which is I’m going to college, I know I have time for a job. When you’re 20 years old, you have all hours of the day to work and I started working there. That was kind of the process of how I fell into it. Doing that, it means that you have to start – I think that’s when I started realizing right when I was doing freelancing for a lot of the same clients. There’s a lot more that goes on that you don’t realize when you’re protected by a company. You don’t realize that you have to have these phone calls and these meetings and you have to negotiate prices and you have to chat, you have to manage expectations, and I can freely admit that I did just terribly. I didn’t realize that people would be really angry if you didn’t hit that Friday deadline and maybe Monday’s okay. A lot of this can be attributed to immaturity, but I spent those five years kind of dancing with freelancing. During the summer months, I would actually essentially be full-time doing that. It’s definitely a lot more work than I expected, and at the same time, when tax season comes around – this is another thing they don’t really teach you is how to do taxes. I think I probably did it very poorly, and then I just didn’t know how to do deductions or how to do any of that. I think I was really surprised at how little money I had left over by the end of it all. I think if I were to go back there and do it again now, I sure hope I’d be wiser about how to do everything. But the biggest thing I learned is there’s a lot that goes on that you don’t realize that happens invisibly or by other people when you’re just focusing on doing work and shipping the product. Alexis: You mentioned pricing. How did you get your footing with pricing and how had you adjusted over time? 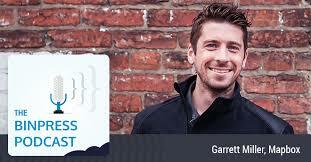 Garrett: When I started, I did the hourly rate and then you’d estimate hours – that’s always hard. When someone gives you a product, you can’t – I don’t know anyone who’s ever been confident that this will take 55 hours or 50 hours. Like I said, that expectation manager is not something that I had any skills in; I figured it’s much easier to say – I think it was two weeks – when you’re talking to your boss and see where that lands a week and a half later. You don’t realize they’re asking you questions about where are we now, what should we do here; they are the ones that are going back and managing that. I think when I did hourly at first, I was always overconfident and I was also very scared of hurting feelings, which is a weird thing, right? You forget that you’re doing business, and business should be – business is part of delivering a product and charging money for it. Towards the very end, I finally started charging based on weeks. I broke off the chunks of time into a much broader scope, and it’s much easier to say four to five weeks and just know that you can a) charter that time and have that booked up for yourself so you have a five-week outlook and b) it’s a much looser timeline so you’re not having to worry about nickel-and-diming and they’re not worrying about 82 hours versus 80 hours and the cost differences there. With regards to the actual price of what that was, it was really hard – I think since the web has grown, and I’ve kind of seen these articles come up; I haven’t freelanced for a long time but since the web has grown, there’s been a lot more transparency in terms of prices. There are a lot more studies out there, and people are doing a lot more surveys, and it’s very interesting to see these numbers now. I think that’s how my prices were sort of jumping up when they did, which is that –. Garrett: Yeah, your availability. It wasn’t like I was available suddenly; the thing I was cashing in there was my sleep. It’s not like you just make up time by dropping other things, and so it was good and bad. It’s good to determine that, or to kind of have empirical evidence that people will pay for your service and sometimes pay extraordinary amounts, but it definitely becomes stressful over time because then this is really on you to deliver that. Alexis: So how did you find your way to Mapbox? Garrett: That was interesting. I freelanced and I left college, and like most college graduates, I was pretty lost in terms of what I should be doing next. I think that was the turning point that I knew that freelance probably wasn’t for me, or at least I wasn’t ready to – I wasn’t emotionally mature enough to start my own freelancing thing full-time without that backdrop of college. And so I got a job in the defense industry in D.C., which is a whole other bag. Doing that for a couple of years, I think, and I was doing this and working in government and seeing government, I had no other experience. I thought this was how the world operated when you’re dealing with these things. I remember longingly reading about – this is right when Silicon Valley started having its resurgence after the big bust in the early 2000s; it was starting to come back again – kind of reading about these offices where you can wear jeans, and they have snack drawers, and people are happy and wearing plaid. I definitely didn’t have a good enough idea to do this thing on my own and I started dancing with that idea of – it was right around the time I was entertaining the idea of moving West again, or trying to find a startup. The D.C. scene was – D.C. had a few companies and D.C. is known for being a pretty bundled up city, so it still had a pretty vibrant community and a lot of good people were working in it. Right around the time I was wrestling with this, I was reached out to by Eric Gundersen and Young Hahn at Mapbox. Alexis: Interesting, okay. So it came the other way instead of you reaching out to them? Garrett: Exactly, it was a really opportune time. I think I followed up within a day, I’m like, “Well this is great timing!” I’ve been talking to a couple of other companies; I was about to hop on a plane the next week to talk to a few folks in San Francisco. I’m like, “I’d love to chat!” and I went and met them the next day. It was kind of mind-boggling to me because I think tech scenes in cities are at risk of looking inward too much. Tech scenes have this idea of “How can we be the biggest tech scene?” There’s this idea of what a tech scene should be, what a city’s techquarters should look like, and D.C. was really having a problem with that, sometimes adapting some of the worst parts of what the Silicon Valley mantra is and what that is. What they told me was basically, what I learned is basically they weren’t focused on necessarily participating in this. They never focused on building this product, and so the first day, the first thing I did when I was talking to them was they just walked me around and I talked to a lot of the folks or these early employees and they just showed me what they were working on that day. It was really fascinating, and I ended up becoming very impressed, not only by the product they’re building, but by how they were doing and the people that are doing it. It felt very organically and it was very much a delightful happenstance to fall into the company that way and kind of see what they were doing. Alexis: Okay before we get deeper into Mapbox, I imagine most listeners have heard of Mapbox or at the very least have used a Mapbox-served map or designed map, because you guys are everywhere. Let’s see – you guys are in Foursquare, Square, Etsyy, GitHub, Evernote – pretty much everywhere. What is Mapbox briefly and what could people build with it? Garrett: Mapbox is essentially a mapping and geo platform. We are interested in putting all the tools in your hands to actually build a map that you need, or to build a geo service that you need. We’re really focused on customization and basically just offering this out-of-the-box map that you can immediately use. A lot of competitors and a lot of the mindshare around maps is usually that if you need a map, you go to a service and you get a map that just looks like what you’d expect a web map to look like and you even put some markers on it. Mapbox is really interested in going deeper than that and actually building customization channels on top of that. That’s really what we are, and we’re focused on basically building tools for designers and developers because those are folks that end up building the product and using it, and if you create advocates out of them, what we found is that, if you built the tools for them then they’ll use them and they’ll actually contribute back and let you know what direction we should be steering the product. That’s where we’re coming from. Alexis: So you’ve been with Mapbox now for how many years? Garrett: Just shy of two years, actually. Alexis: Two years? Okay, so in that short time, how has the company changed? I think it’s changed quite a lot [chuckling]. Garrett: Yeah. It’s funny that when you segued into this, you talked about how everyone’s played with Mapbox and referring to the original point, how have I never heard of you? It’s hard to tell – I keep wondering if I’m in this bubble, that I know about Mapbox because I literally walk into it every single day. What I’ve noticed is there has definitely been more mind-sharing and definitely you can go somewhere and talk to someone and they’ll actually know what we do. It’s interesting because it’s a very specific tool and a very specific use case, and it’s really cool to see that people are aware of it. Certainly I’ve seen more outward knowledge weaved around it, and the obvious story is that we have scaled up I think 3x since I’ve joined – or 3 ½ x. It’s mind-boggling to think of the number of people that we’ve hired and the amount that we’re actually shipping every week. I think that’s when the people always tell us – and I think it’s easy for me to get lost in my own work and forget to read our own blog. I think the most startling thing is that I’m finding out about things we’re doing almost the day that they’re released rather than weeks or months in advance. We’re big enough now that we have so many things running, that it’s hard to actually keep up with what we’re doing, so that’s been kind of fascinating to watch. There was a point when you had to know everything that was going on because you were directly involved in it, and that’s the typical startup story, right? You start watching these different things grow, and these products kind of grow out of other ones, and then rather than being a participant you become an audience member to it and that’s really fascinating. Alexis: Sorry, I’m looking through my – if I get quiet here, I just looking through my questions. I will edit this magically out in post. Alexis: [Chuckles] You mentioned that Mapbox is a very specific tool and it has a very specific use case, but I think while specificity may sometimes indicate smaller numbers, in this case, I don’t think it does because it’s filling a need that is sorely needed in open source. A tagline I’ve seen of Mapbox all around the web is “creating beautiful custom maps with open source tools.” I think that might be in the company’s Twitter bio. Open source really, really, really, badly needs a good design anywhere it can get it [chuckling] and when pretty much your only options for map styles are the default OpenStreetMap map and Google Maps, Mapbox is doing quite well for a reason. You’ve even built the company on open sourced tools like the MBTiles spec, TileMill and Mapbox. Have you had any insight into the development of those open source projects and how that has helped build a community around the company and the company itself while you’ve been there? There is definitely this expectation that you work in open source, so it was really refreshing to see. Here’s a company that is not only encouraging its team members to build on open source but is actively investing in it. What we found is that the nature of our platform is actually originally based on OpenStreet or an open sourced data and this idea that if you’re taking from something, you should actively give back to it, and that’s the heart of what the open source movement is. But it’s also bigger than that especially with code; if you’re contributing, you’re consuming and contributing to certain specs or certain tools, you inevitably create a community around them. That actually paid off in a lot of ways. One is that it lets you focus on being responsible, very directly and transparently responsible to your users, because they are the ones that are not only using your tools but also digging in on how your tools function and actually finding people within these communities who are working with these things and are passionate about them. It’s cool because then you end up, for better or for worse, you get feedback from the community about what you’re doing and they’ll raise issues and they’ll let you know about bugs, and it’s a really interesting way to kind of see things –. I keep using the word organic, but it’s the best way I can think of to describe how the workflow goes if there’s a community that’s giving direct feedback and we’re organically building products for them. Alexis: I didn’t know that Mapbox also – went after the model of bringing in a developer who’s making an open source project and just sponsoring him in that way. I’d only known of TileMill and Mapbox Studio that were in-house and built open source from the ground up. Garrett: Mm-hm, and it’s interesting because it’s not just about having them work on our projects; it’s about making them active team members and working on other projects. These people are brilliant, and it’s so cool to have these people who are building these different projects and then spend a week working on something completely different with us. Actually, sometimes that’s even more interesting, or it helps influence the project in a different way. I should mention that we operate internally like in open source projects. One of the things I was most fascinated by, and I think people are most fascinated by when I describe Mapbox, is how we use GitHub. GitHub is essentially our entire platform for running the company internally. We use GitHub for not only just our code projects but open source and close source, but we use it for our office management. We use it for – if you need a new chair, you’d raise an issue on GitHub [chuckling]. Alexis: What you’re bringing to the potluck next week. Garrett: Yeah, exactly. And obviously that means that every conversation is littered with gifs and jokes but [chuckling] it creates a very interesting dynamic and in turn, it actually means that our company is run – because it’s run like it was an open source project, it’s also runs very efficiently as a distributed network. We have our two main offices in San Francisco and D.C., but we also have team members and now 30% of the team members are scattered, and that’s kind of both the nature of when you hire strategically and you have people that are in different countries that don’t necessarily want to move around the world. They don’t necessarily need to, because they can actually work within this network of online communications. One of the things we warned people about when they come to our office is why it’s so freakishly quiet like we had headphones on, because for the most part, conversations have to happen on our chat rooms and online. And it means that we have this history of our conversations, we can refer back to things, we can see when our decisions were made, and we’re also responsible for what we say. Like any open source project, if you make a decision, you are responsible for that and it’s very clear how to operate efficiently there, and how to best communicate with your team members, and how to move things along efficiently in that manner. Alexis: So what’s your role at Mapbox? Obviously there’s a design and development component. Garrett: Yeah, that’s a loaded question these days because the other nature of how we operate is we are a flat company. I know that there’s probably people eye-rolling when I say that, but there is no such thing as true flat and we understand that. What it does mean is that I’ve always described it as a culture of mentorship, and that’s a two-way mentorship. My specific role was I started doing design and development and then as we started hiring people, I kind of shifted into how to directly scale people up and get them into this very weird work environment that we’ve created and how to best do that. The ultimate goal is to get everyone running independently, so we kind of describe it as this diagram where if you scale people correctly, that means that they can help bring in new people. My role as of late has been actually running point on what we call our Labs Team that’s basically this weird bridge routine product and business development. Garrett: Yeah, and so the best way to think about it is I’m actually the only member of the Labs Team, [chuckling] so I’m running a team of one. Alexis: It’s really the skunkworks. Garrett: Yeah, so I’m very proud of myself. And actually, the skunkworks term is one I’ve shied away from because what it ends up being is it means that we can talk to different companies and actually determine what they’re trying to do with maps and figure out both what they’re doing and what we’re interested in doing, and we bring in new people. It’s a great kind of free space to both work on things that you’re interested in, for us to kind of spitball a few things for a couple of days – you just box in them in to a certain amount of time and run with them. What ends up happening is as we’re using our own products and as we’re building tools that become our own products, they inevitably shift over into actually contributing to the product itself. It’s not a farm league for any of our designers or developers, but it’s basically a way for people to very quickly become familiar with our own tools and the way we work in a little bit less strict environment. People will work on what we call labs work and they’ll go off and build a project and they’ll come back to labs work because they’re experts in certain things. My job lately has actually been trying to help guide that effort and make sure that if I have meetings externally, that they’re captured internally and that we can capture why it’s important to do something. What that means is working closely with Eric, our CEO, in terms of where his head’s at and the company direction itself, and then making sure that’s communicated to everyone and making sure that people are learning strategically and that I myself am learning strategically. I may ask a team member and that’s an important thing – asking your colleagues if they can do something, not telling them. Ask a team member to do something and then the next week, ask them again if they can teach me what they just learned because I was too busy doing something else. It really is hard to define any individual’s role, but I can safely say that we have designers and artists now who can do more with databases than I could ever hope to do. And it’s really amazing to watch that – to watch this hive mind to take over, and for people to work in things that make them uncomfortable and to work in spaces, in certain areas of the stack that they might never have expected themselves to be in. Alexis: Correct me if I’m wrong, but it sounds like you’re very busy and that everybody at Mapbox is incredibly busy, because there are so many things – tiny projects, big projects, a whole bunch of stuff going on, and you still want to fit in the experimentation, and you still got to get in the stuff that needs to get done because we’ve got paying customers. How do you manage it all, both in terms of a project management kind of thing and also personally? How do you keep yourself organized? How do you know, “Okay, this thing needs my attention right now and this other thing can wait”? Garrett: Right. The short answer is I use GitHub and Gmail very strategically for filters. I mentioned that we do everything online, and what that means is – I think we have something that, I can’t remember the number, and I think it’s around 100-150 open source repos right now on GitHub. Garrett: [Chuckles] Well I can safely say that there’s almost 3 or 4x that internally [chuckling]. I’ll have to say, you have to be very careful about what you watch, but for a long time I watched everything and I think now I mostly watch everything. What that means is that I have a filter set up for – my Gmail inbox floods me if I’m directly mentioned or if I’m a direct stakeholder in something I’ll make myself a stakeholder. Otherwise, there’s this kind of – I call it my watch folder, and this is where everything that’s going on in all these repositories, I actually watch. Describing myself as very busy is a good way of doing it. Actually, everyone here is busy because you do have a personal responsibility to keep track of things and know, even places within your sphere of influence and what you’re working on. You can probably draw a thousand Venn diagrams, looking at all the repos and you determine how far around that circle you think you should be going. It’s mainly about being very strategic in terms of how you parse this information. What that means is my to-do list is essentially my inbox, the things that I’m – both emails themselves and actual tickets and initiatives I’m a member of, and then there’s the passive inbox, which I tend to read late at night and on Sunday evenings. It’s interesting because – I think it’s probably the closest experience any one member could have to being a CEO of a company in the sense that it’s everyone’s responsibility to stay on top of these things and to ask people when you’re unclear on things. I can’t speak for other people in how they deal with this, but I’ve kind of described it as how do you handle the fire hose. When you join Mapbox in day one, you’re handed this active fire hose and it’s going out of control and it’s spinning in every direction and we’d give you tips on how you might want to handle that fire hose, but it’s up to you to determine –. Alexis: How it only gets done. Garrett: Yeah, what the pressure level’s like and where you’re pointing it. Alexis: Please do not look into the fire hose; that would be a bad idea. Garrett: [Chuckles] Exactly, and it’s certainly fascinating. We talked about scaling up and being 3x of what it was when I started. Every time you add another person, that’s another ounce of pressure on that fire hose, so we’ll see how it goes. I think it’s definitely going to be like any company; it’s going to get harder to keep track of everything, so personally, I think I’m just trying to make sure that I’m keeping track of things that I should be keeping track of and I’m able to help out in places that I think I can be helpful. That means, especially with new folks, when they’re trying to become familiar with where things are moving and what they should be doing, helping point them in the right direction or telling which people to talk to. I think that there’s kind of a culture of being available to everyone, especially new people when they join. Over time, you get to know that institutional knowledge of who’s working on what and what things are moving and where are the things I’ve done in the past, and then ultimately help shift people into being able to do it themselves and be independent themselves and be mentors. Alexis: So speaking of growth, it seems that you’re – I won’t say combatting, but you’re trying to foster growth on two fronts, both in terms of personnel of the company and in terms of the business development. What are some of the challenges you’re currently facing? Garrett: Well, the big thing is actually determining where our products should be and making sure that because we have all these amazing people available to work in these things, making sure that it’s being steered in the right direction. Eric does a very fantastic job of keeping an eye on these things, and I think it’s ultimately about trying to make sure that we’re capturing the external reception of Mapbox and what we’re doing internally and making sure that we’re aware of how people are using the product. The big things now are – we’ve built a very, very cool platform for designing and customizing these maps, and so now it’s going to be about the next step in terms of where do we steer this product, which direction should we go. We have a lot of input from customers and from individuals about what they’d like to see out of these things. Young Hahn, who heads kind of the division of how the engineering and how we should be focusing ourselves – he describes it as almost ruthless, but I think it’s really amazing to watch in terms of just being very concrete about what we should be doing and making sure that we’re laser-focused on product growth and on business growth. I think that means that on my own personal end, I’ve been making sure that when I’m having meetings with people, when I’m thinking about what’s the product potential here or what’s the actual potential for growth here in terms of what we’re trying to do. The big thing we do – there’s a lot of lessons between all facets here, but it’s been about capturing what the win is; we always talk about that. What’s the goal here? If you opened up a ticket about getting a new chair, then the goal is obviously that you need a new chair by the end of it, but if you opened up a ticket about exploring this data set, it may not be, “we’re going to explore this data set and we’ll make a million dollars doing it” but it could be that we’ll learn a lot about our own tools. We might go to blog something or we might make some friends here or learn more about this industry. We’ve been doing good examples; we’ve been doing a lot of exploration into the drone space. This is a really cool, emerging space and we don’t know what’s going to happen there. A lot of the companies that we’re talking to are equally concerned about these things – is there money here? Is there a market? Alexis: There seems to be an opportunity here – we don’t know what it is but we’ll look into it. Garrett: Exactly, yeah. When we think about growth, that’s absolutely what we’re looking at is making sure that we’re having fun. Eric kind of describes it as causing trouble in the right ways [chuckling]. I think for better or for worse we sometimes have a reputation for being punks, but we want to make sure that we’re being pretty strategic and careful. I think that for all the blogging we do and for all the outward presentation of what we do, it’s really great to see that’s being received the way it is, because there’s a lot of thought that goes into everything. Everything down to word choice and everything we do is carefully thought out. Our designer, Tatiana, just recently took the lead and spent three weeks redesigning our website and watching that happen was really interesting because in doing so, I think she was seeing a lot of the business that I wasn’t seeing, and it’s cool to see this. It means that people who – our own team members are actually able to capture what we’re trying to do here better than we as a hive mind are. Alexis: Right. You mentioned talking to businesses, and the following question might be more applicable to consumers when they say, “Oh, I’d like to see this feature and that feature” because you have a cacophony of different voices saying they want one feature or another. But I imagine the same thing might happen with businesses, and in some ways it might be more tempting to accommodate them because they might have a million or three million dollars to throw behind that if you had that certain features. “We’d like to start using it, but we really need x.” How do you focus and at the same time sort of let them down in terms of what you’re not going to build and what you are going to build. Alexis: [Chuckles] Well, you got to build it! Garrett: “I hope you guys are ready to build.” [Chuckles] I think this is the advantage of that hive mind that I talked about, or this communication I’m talking about is that it’s sometimes my job when I leave these meetings to capture, “Here’s what this company is really interested in doing. Here’s what I know we do. Here’s what I know we were thinking about doing, and here’s something I’m pretty sure we’re not going to do.” I can lay these out and say, “I want to manage back” –. What that means is that we end up being – we collect data in terms of what we’re working on. There’s a lot of these contracts that’s not like we have a lot of $3 million folks knocking on our door every day, but that’s true for every business. Sometimes you do get these clients that come along and might want something, and our job is to be very concrete about what that means for product direction. I think, like most companies, it’s about finding what’s that shared spot between what they want you to build and what you want to build and ultimately, we’ll never build anything for one customer; what we’ll build is something that might benefit our infrastructure for many customers. When I talk about what we’re doing with the product and where we see these new markets, I really rely on others to kind of – I have my own idea, but I like to post these things and get the opinion of my team members who I think are just infinitely smarter than myself in capturing and basically letting me know how hard these things are. I can try to understand as much as I can with the tech, but the truth is that there are these people who have been working in this. What ends up happening is when you do this transparently, it’s not like you have these four levels of conversations that are happening where they just finally gets handed down to a person who has to build it, and they’re just told to build it. What you end up having is just a very fluid process and the cool thing is because of the way we’ve built ourselves, and because so much of what Mapbox is is a set of APIs, it’s very easy to – easy is an understatement, but it’s rather straightforward to actually explore these product directions and maybe build an API herein and see what that looks like. A lot of times, we end up being able to actually put out things that we didn’t even think about initially. It’s basically this – the short of it is it’s a shared strategy; it’s a shared way of making sure that we’re not making promises we can’t keep. Alexis: Now if I had to guess, I would say that Commercial Satellite was something that you were involved in. People have this expectation that the world operates a lot like Enemy of the State, which that could be not as far from the truth these days anymore. But it was mainly a need that – it was us recognizing that we might be well-positioned to be a good pipeline for a lot of these things. You have these huge companies that have amazing data, and so that was us kind of recognizing that there’s this space that we might build to be helpful. What we’d like to do is actually kind of build out an infrastructure around it and post it and see what the reception is. That kind of guides how the final implementation should go, and Commercial Satellite is a good example of that. Alexis: So we’ve got satellite imagery now – I think it was in March when you’ve got Mapbox Outdoors, which is an outdoor kind of maps and then this Smart Directions? Garrett: Yeah, that’s right. Smart Directions is a really good example of – when I initially talked about Mapbox being a customization platform, we’re obviously interested in having these very straightforward APIs. We want a geo-coding API so you can look up an address, or put a marker on a map and know where it is. You want a Directions API so you can do very basic routing, but we’re interested in not only providing those things, but also providing a customization layer behind those in the same way that you could customize the map design and if you want to be able to actually control the API and the inputs there. We have our own data set – I have many data sets laced together – and a lot of companies and a lot of people that we talked to have their own data sets. They’re proprietary and they’re not going to be sharing it with their customers, but they want to know that they might be able to put together those APIs that incorporate elements of our own API – the straightforward bit – and also their own data. Smart Directions is a great example of us trying to capture very quickly how we envision this working and actually implementing it at the same time. That was us working closely – the very first pass of that and that launch of that was basically some actual neighbors of us in San Francisco, Scoot, and they are a scooter company. They’re like a zip car for scooters to use the nomenclature of San Francisco here. The gist is that you can go and you open up their app, you find a scooter and you hop on and you drive it around – the app actually navigates you as well – and you park your scooter. The problem there is that they’re electric scooters; I think they have a maximum speed of about 35mph, so they can’t go on highways and they can’t go uphill past a certain grade and they can’t go on roads that have trolley tracks in them – and San Francisco has all of those in spades. What they were interested in is actually saying you can’t just plug all those stories into a routing API and have it just work; there’s no such thing as that. What we did is we worked with them and actually being the very first trial users for an API that, using the data that we have, you say, “Well don’t route on any roads that have trolley tracks or have this grade of hill, and definitely don’t go on highways.” They ended up getting the very first pass of Smart Directions, which is essentially our Directions API with another layer on top that customizes based on the data itself. And I think that’s really important to capture is that – we’re a mapping company, but we’re based on data. Everything that you look at is actual data. There’s metadata associated with every road and every building and every part of the map, and so it’s about interacting with that data and I think that’s Mapbox’s role – to actually build the different ways to interact with that data and actually truly build a map and a platform that’s your own. We’re not going to be slapping the Mapbox logo on every map; what it should be is – it should be their Pinterest’s maps, and their Foursquare’s maps, and Foursquare’s APIs. It’s really cool to kind of see that, just to be this quiet layer behind that where we give it to you out of the box, then you figure out the way to actually customize it and make it your own. Alexis: You mentioned that there’s that thought within Mapbox that – or at least yours personally – that, “Man, I can’t believe this many people have heard of us.” When you release a new product, you still have to do a fair amount of PR but maybe not as much, as you would have to if you were a small company, and I figure that changes over time as you grow. What are some of the things you do to get the word out, of Mapbox in general and also when you have a new product? Garrett: I mean, number one is I don’t think I’ve ever worked in a company that had this good of a blog [chuckling]. I’m not trying to toot our own horn here. I’m fascinated by our blog. I think I’ve even mentioned here, how I’m sometimes reading our blog and I’m like, “Oh wow! I didn’t know we were doing that yet. I didn’t know we were ready; I didn’t know when we released it” and it’s a really fun blog to watch. I think, actually, to the credit – I think Eric had done a really good job of this even early on. You create a compelling blog – I mean, to be fair, maps are a very easy story to tell because everyone loves maps. It’s such an easy thing for people to like. Everyone grew up with maps; everyone has their own personal stories with maps, so there’s that. We’re working with an easier story here in terms of what we’re trying to sell and what we’re trying to capture. But beyond that, we publish on our blog; we very rarely work with big PR firms, but we try to be – like in everything we do – we try to be very strategic in terms of how we announce things. Should we throw an event around this? We’ve learned a lot from other companies and other folks about how to do this right, and then we really – this is going to sound really cheesy – we tried to have fun doing it. You have a fun voice that sounds both genuine and excited about what you’re working on; you’re not trying to sell marketing speak or actually just trying to literally capture how excited you are about these things because they are really, really cool. What ends up happening is people are receptive to that and at the same time, because we’re publishing code in the open and a lot of times we’re really using open source tools, the different communities kind of embrace or at least comment on it. You can release these tools and people tend to talk about them because they even want to see if they’re for them, if they want to customize then. What ends up happening is there’s conversation around the tools themselves. I think that’s great because people aren’t necessarily talking about – people obviously know Mapbox for a lot of these tools and a lot of these different things we’re building, but the discussion becomes about the product and about what we’re doing. And in doing so, I think it creates this good mindshare around – really, we’re just trying to share what we’re doing, and that’s what the blog is to us, to actually share the direction that we see ourselves going and be open about that process. And then a lot of times, some of those – I keep mentioning our Labs Team, sometimes we’re just working on really cool stuff and we might not necessarily know what the use case will be there, and so we can use the blog as a communication channel. Alexis: Hey, look at what cool thing we did, right? Garrett: Exactly! Like I said, now it’s really cool to watch because sometimes I’m not even aware of some of the cool things that we’re doing, and it’s so impressive to see these things. I’m always weary, especially when I listen to similar podcasts as this. You’re weary of hearing the “Everything’s so great and this is exactly what we’re doing.” I think that when you are building cool things, people tend to spread the word, and people tend to write about it. To the original point, maps are a very easy thing to write about because they’re big and they’re gorgeous and they’re personal, and they’re relevant to everything that people are doing and they can find a way to make them their own. I think the product itself or the nature of the world we work in tends to lend itself to be sometimes instantly viral, and that’s really cool. Alexis: It’s a good thing you brought up that worry about “Hey, everything’s great!” because my next question is going to throw that out the window [chuckles]. Alexis: [Chuckles] In the past – you don’t have to limit it to your past few years of Mapbox; it can be in all your freelancing and working for other organizations too. What’s one mistake you’d rather not repeat? Garrett: Having experienced these different things, one thing I’m always weary of is – and this is a very personal thing, and it’s also why I was excited about Mapbox – I’m worried about over-management. When you start creating layers between people – and that’s not the same management as, “It’s crap and no one should have managers.” That’s not true. I mean, management should be in place to help both protect people to work on things they’re doing but also to kind of help guide the different efforts and create that unified vision. That certainly worked in places where there’s an expressed need to create managers for the sake of having managers, and I find that to be a really dangerous concept. It’s something that scares me personally with any company growing up – how do you make sure that people are empowered to do the things they need to do and that they’re being truthful and honest about what they think it should be doing? If you hire people, you should be hiring them because you trust their opinion; you trust that they’re bringing something to the table that you might not have yourself. I think the big thing is management, and that is directly tied to being scared of growth. Right? I think this probably rings true for main people in startups. So many people have stories about when you grow beyond a certain size and you don’t have either a process in place, or you just don’t have the right environment in place and you end up creating this environment that’s really hard to work in. The biggest concerns I’ve always had and I will continue to have is in my last company, watching it grow from – I joined around 15 people and I left around 450. You see a lot of change there and you see a lot of different companies in that experience. For the most part, it’s an overwhelming positive experience. You get to see a company grow up and you get to see these stretch marks appear, and it’s just about how you respond to those that’s really interesting. Garrett: I wouldn’t take credit for myself; I think I’m really – this is the horn I’d been tuning this whole time – I’m very glad to be a participant in this kind of flat mindshare. That’s so weird, but when I’ve talked to other friends – and I have other friends that are actually starting companies now too and we’ve talked at length about this concept – how do you create individual leadership and how you create what everyone should be thinking. Get everyone thinking like – if they really want to be getting deep into this – getting everyone thinking about what is their business goal here or what’s the goal here, and I think that’s honestly the coolest thing. I think Mapbox as a whole should be proud of the fact that we’ve created this environment that lets this happen very strategically, and it’s very cool to watch as a whole. Personally, I’m proud that I get to be part of that, but also proud that somehow, decisions I’ve made in my past have landed me here. That might be picking up that first copy of Photoshop and learning it, but that was certainly pretty cool and I think I’m fortunate that I grew up in an environment that had a computer and I had the ability to run Photoshop. I’m glad that I had the – it wasn’t foresight, because I certainly wasn’t smart enough for that, but I’m glad that I had the fortune to learn HTML and learn CSS and then go to college, and keep pushing myself on Computer Science and learning that. Ultimately, I think it’s obviously worked out well in terms of where I find myself now. I’m very glad to be where I am and I feel very fortunate for that. Alexis: To last questions here: As someone who straddles both the design world and the development world, what advice would you give to others who kind of have the same make up? Garrett: I’d say, keep pushing. Keep exploring things that you might not even necessarily think you want to do or might be uncomfortable with. I’m certainly never going to be a strong backend programmer; I know this by now, I think, but it doesn’t stop me from trying to learn as much as I can about it, at very least so I can speak to it and so I can understand it. I think in general, get into areas that you might not necessarily know what to do. I certainly now have a lot more business development experience I never thought I’d have. It’s hard to say if I were to leave Mapbox tomorrow, if I’d go and seek out business development positions – I can’t say that that’s the case. Maybe I have a very particular brand of experience doing this, but ultimately I think just try to be as multidimensional as you can. There are people at Mapbox that are –I thought I really understood what the concept of full stack was, but there are people there that are truly full stack, all the way from being able to sort through massive amounts of data, to designing a logo, to writing a very comprehensive business overview. Alexis: And the last question, the most hard-hitting question of all: what is your favorite text editor? Garrett: [Chuckles] I’m still stuck on Sublime Text 2 for code. Garrett: With these things, you keep seeing new ones come out, and I think they’re fascinating. Unlike everyone else, I download them and try them for a day; it’s kind of like typing with gloves on. Alexis: That’s the color of the font, or the way the font is, or something like that. Garrett: Right, there’s something that’s off. You spent 20 years with this one car and you know how to open that door and how the windows – that window would always get jammed, but you’re used to it. Sometimes you’re just so used to the way you have things and you’ve got all the duct tape and they’re in places that you’re used to. We’ll see how it goes. I keep threatening to learn Vim, but I know that takes about a week just to get started and I have friends that are pushing me, but I just haven’t been able to commit a week yet [chuckling]. Alexis: So if we’d like to learn more about Mapbox, where can we go? Garrett: You should go to Mapbox.com. I’d love for people to check out Mapbox.com/blog. Be inundated with lots of loud images of lots of different things, but it’s just a great thing to kind of dig in on and kind of get a pulse for what we’re up to. Alexis: And if we’d like to find out what gifs you’re sharing on Twitter, where can we find you? Garrett: And I am @heyitsgarrett on Twitter. That’s H-E-Y-I-T-S-G-A-R-R-E-T.
Alexis: Alright! And for us, you can find us @Binpress and myself, @alexissantos. Thanks again, Garrett, for taking time out of your incredibly busy schedule, as we’ve learned throughout the how [chuckling]. Garrett: No problem, this was a delight. Alexis: And for the listeners, we’ll catch you next week!